Given the continuing cataclysmic shift in the economic landscape in the last few years, librarians have been forced to reevaluate not only the traditional services that they offer but also their continued existence and relevance to their academic institutions. Given the ‘new normal’ of tighter constraint on personnel and materials budgets, librarians now are compelled to find new ways of offering services and forging new relationships with departments and programs outside the traditional library setting. 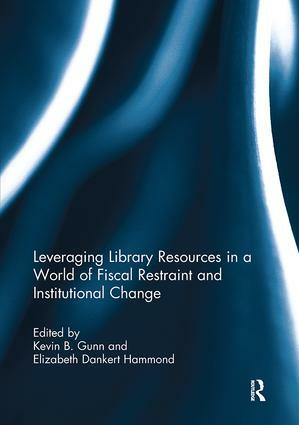 This volume highlights a number of projects being implemented in academic libraries including: rethinking the entire concept of a library, redefining physical space for new collaborative uses, adapting entrepreneurial techniques to acquire funding, creating new research tools and improving services, forging new consortial partnerships, allying more closely the mission of the library with that of the institution, and adapting public library programs to academic libraries. By re-examining the purpose of an academic library under continuing financial duress, librarians can ensure that their libraries will continue to have relevance to higher education. This book was published as a special issue of College & Undergraduate Libraries.